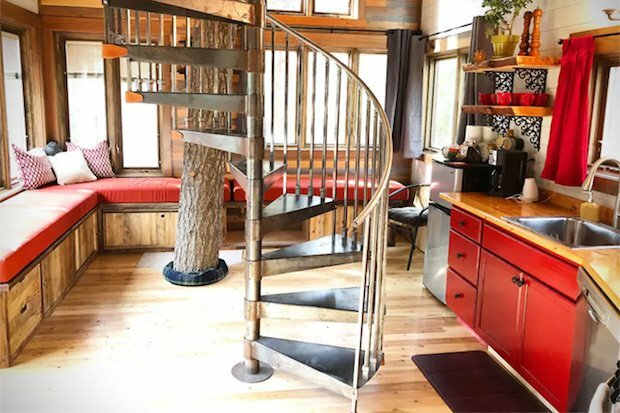 It’s Basically A Full-Blown House… On A Couple of Trees! 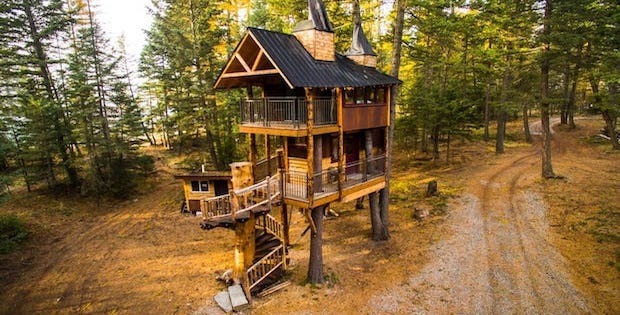 Treehouses need not be exclusive only to children; even grown-ups would want to stay in a treehouse of their own. 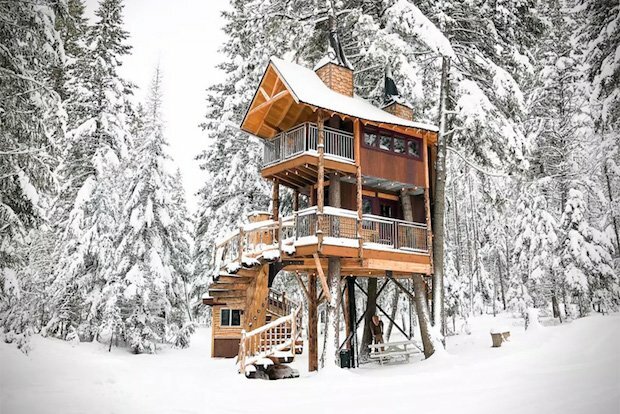 So enter this Treehouse retreat in Montana and let your inner child come alive. Enjoy being on top of the world, with breathtaking views of the surrounding scenery. 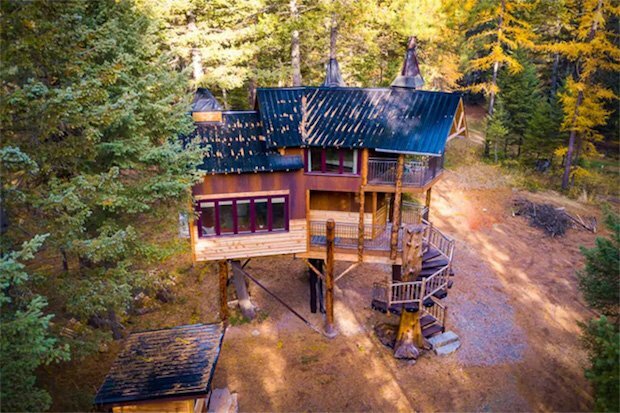 This treehouse comes with basically everything you would find in a traditional home; finally, a treehouse for those who are still children at heart. 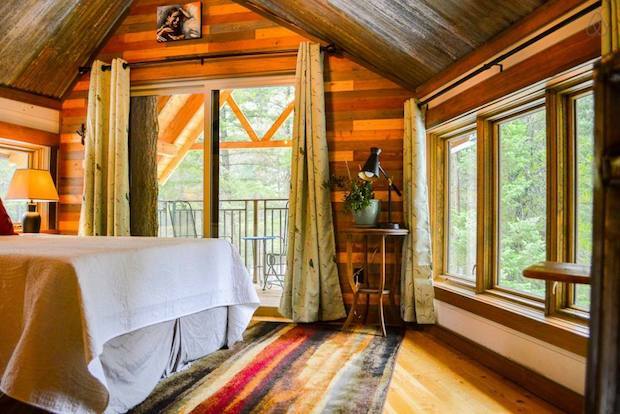 This home can accommodate up to 5 guests and has a nightly rate of around $325. 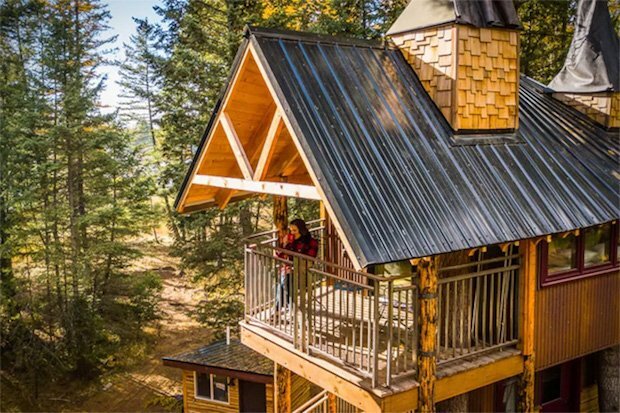 To get into the house guests have to climb up a spiral staircase that wraps around a giant Douglas Fir tree that goes right up through the home. Both levels of the house feature their own decks that are both perfect for lounging on during the warmer months of the year. 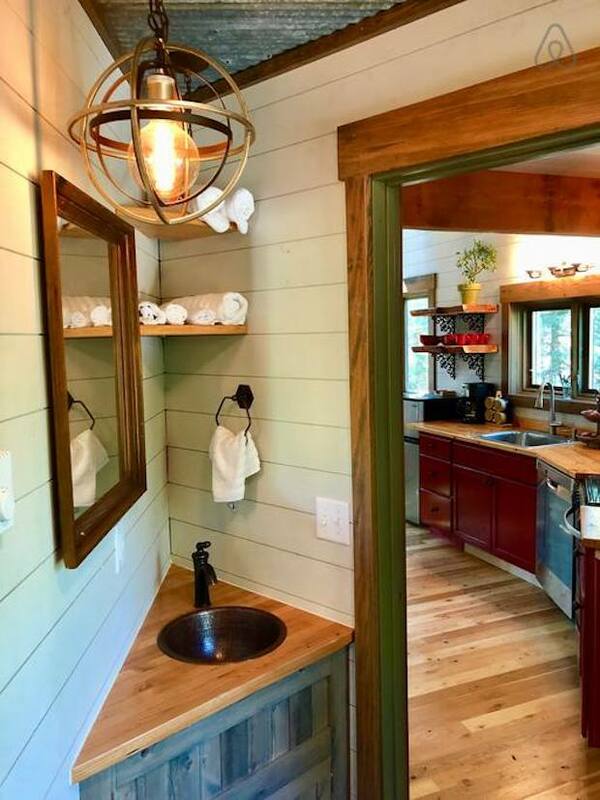 And other than wildlife, you won’t have to worry about noisy neighbors – this home is located on its own private, heavily wooded 7-acre property. 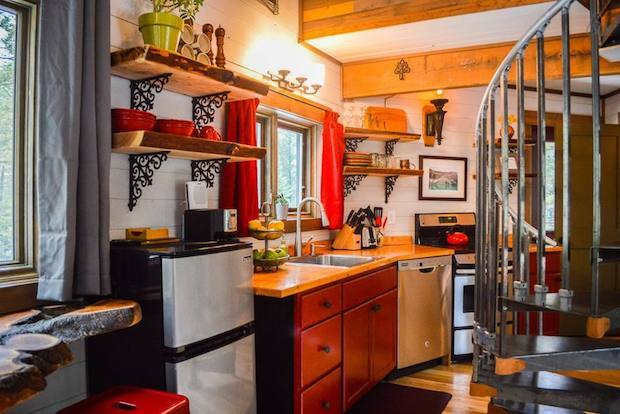 Not bad, for a treehouse. GO GREEN WITH GREEN ROOFS! Art or Overkill? 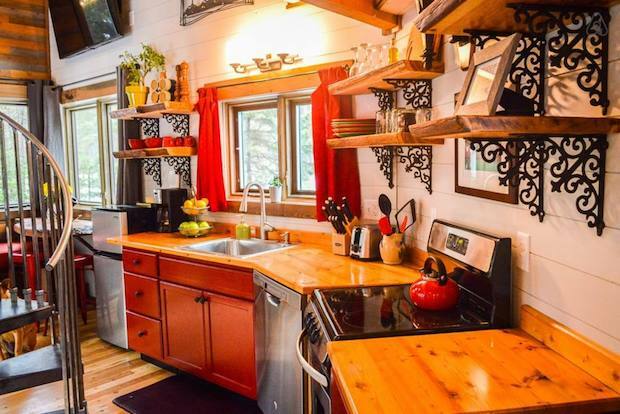 These Log Stacks Make You Take Another Look!